You may be aware of the different kinds of swimming pools which are categorized based on their usage. Swimming pools come in all kinds. It can be public, private, infinity, competition, exercise, simple swimming pools, swimming ponds, oceans, hot tubs, and spas. These pools are generally known as a big luxury complex or recreational center. These centers usually contain more than one pool for catering needs of different kinds of swimming requirements. 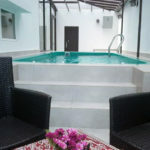 A hot tub, a spa pool or sauna are all facilities for different kinds of guests for different swimming requirements. Hotels and resorts are having public pools as part of the recreational facilities for different kinds of guests. A natatorium, a pool in a separate building has amenities for also all other activities. Tropical areas, outdoor pools are also common. Some places have large common pools with a diving board at one end above the water. The pools should be deep enough so that divers will not be injured. Private or personal pools are exclusively made for few people, though are smaller than common pools. Residential or home pools are usually built on an assembled above ground. 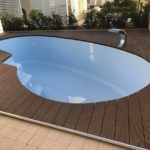 Main kinds of inground pools are made up of fiberglass, concrete and vinyl liner. On-ground or above ground pools are popular in all areas where you usually find excavation difficult because of frozen ground. It just gives an impression to the swimmer that the water has just extended to the horizon, Just like vanishing or reaching to the infinity. This illusion works well while a change in elevation. Swimming pools that are made for competitive sports are usually made indoors. 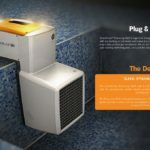 It is heated to allow usage for any time of year and fulfill regulations to contain temperature, lighting, and equipment. The International Federation for swimming (FINA) has set standards for competitive pools. The pools should be 25 meters(~82 feet) or 50 m(~164 feet). Also typically known as swimming machines, swim systems or swim spas. There are various types of exercise pools that are especially known for resistance swimming. 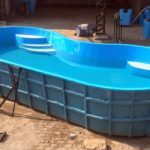 Simple or natural swimming pools provide an attempt to replicate the environment of natural swimmable ponds which are fresh, There are non-polluted as well as ecologically-balanced bodies of water. It is known for containing water in natural swimming pools contain 100 percent free from chemicals that make it acceptable in swimming. Disinfection of water is obtained using biological filters and plants rooted in the system. These pools gained popularity in the early 20th century, especially in Australia. Also known as Lidos, ocean pools. It was created by enclosing a section of rock shelf where water circulates through pools using constant flooding over the side of the pool when high tide comes. Generally known for its aesthetic and medicinal qualities. 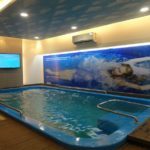 These kinds of pools are usually found in all fitness centers or near swimming pool areas. There is a special section for therapy and relaxation.